Any American Soldier who has ever worn the Army uniform throughout our nation’s history is eligible to have a registry page. (Soldier must have received an honorable discharge or a general discharge under honorable conditions). Search or add the name of yourself, your family and friends that have earned their place in the National Museum of the U.S. Army for their distinguished and selfless service to this country. The Registry of the American Soldier will be on permanent display at the Museum, and accessible via the search below. Please consider enrolling yourself, or honoring a friend or family members. 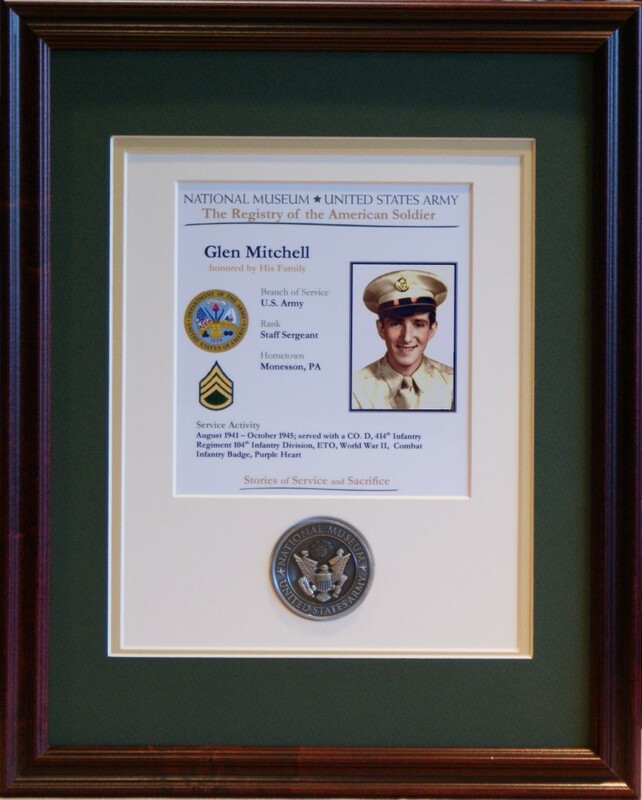 Those interested can order a personalized plaque that replicates the information displayed on the Registry along with a beautiful National Museum of the United States Army medallion. *New registry plaque orders will not ship until after the holidays. You can also download the form and mail it in. The Registry of the American Soldier entries are publicly submitted listings. Any person may add themselves or another to the Registry. The Registry is not an official document of the U.S. Government.